Through our continued efforts and years of experience, we have received the certificate of the American Petroleum Institute (API), and successfully established stable relationships with more than 300 API certified manufacturers of petroleum machinery in China. The superior quality and full services we offer has resulted in our products finding markets in Russia, Germany, America, Kazakhstan, Uzbekistan, Azerbaijan, Syria, United Arab Emirates, Oman, Libya, Egypt, Turkey, India, Sri Lanka, Thailand, Singapore, Australia, Brazil, and more. 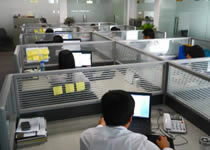 We are located in Rugao city, Jiangsu province, near the Yangtze River, Yellow Sea, and Shanghai. Here we have access to convenient transportation by sea, land, and air. As a result, we are able to reduce production costs due to our low transportation fees for raw material and spare parts, and our customers can also save on freight charges. At Rugao Yaou Company, we provide a diverse line of reliable and economical well cement tools, drill rig parts, workover tools, oil production tools, oil drilling tools, solid control equipment and other petroleum equipment to customers worldwide. Having the advantage of high performance, great durability and long life, our products are widely used in the oil and gas industry. To suit the metal processing requirements of our customers, we also produce a number of shearing machines, hydraulic press brakes, rolling machines, and hydraulic presses. Featuring easy operation, reliable quality and reasonable prices, they are extensively used in aviation, metallurgy, chemicals, construction, shipbuilding, automobile, electric power, decorating, and other industries. We know that only high quality and cost-effective products can win us customers and long term partners. To meet the requirements of worldwide customers, we carefully design and produce our oil drilling tools, drilling parts, and shearing machines according to international standards. To ensure the best quality, all of our petroleum equipment, rolling machines, and hydraulic presses are thoroughly inspected by our highly trained staff. We introduce internationally advanced production and testing equipment, implement production lines, and improve the utilization rate of raw materials, which allow us to effectively control the cost of our products. 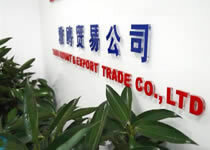 In addition, we've established long-term cooperative relationships with raw material suppliers, so we can acquire quality materials at low prices. 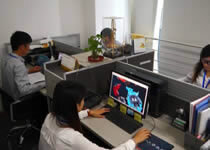 At Rugao Yaou Company, we not only provide our customers with quality products, but also complete service, including onsite maintenance, debugging, and training service. If you would like to experience all the benefits of our products and service, please contact us directly.